the post's community support programs and the FlagsOnMain project. 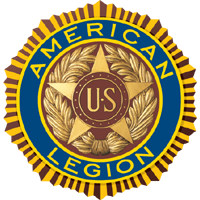 If you are currently on active duty, serving the United States honorably, anywhere in the world, or have served honorably during any of the listed war eras, we invite you to become a member of The American Legion. National Guard and Reservists having been Federally activated (including basic training) during these same war eras also meet the eligibility requirements. [refer to tab at left for war eras listing]. 4th Thursday of every month at 7:00 p.m. 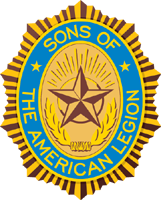 The male descendant (includes stepsons and adopted sons) of a current member of The American Legion. Or, The male descendant (stepsons and adopted sons included of a veterans who died in service or subsequent to (after) his or her honorable discharge from service in the United States Armed Forces during the listed war eras [refer to tab at left for detailed listing]. 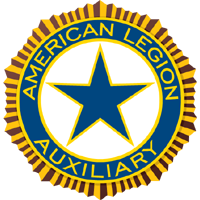 Since our charter in 1932, The American Legion Buck-Dubiel Post 101 has been welcoming VETERANS from all branches of our Armed Forces. Today, we continue to welcome all military personnel serving our country. Joining our Post enables you to continue serving your God, Country and Community. Our mission is to implement the goals, aspirations, dreams, peace and blessings for our country, friends and families embodied in our preamble below. Check out out Careers Page - Select the tab at top left. The U.S. Chamber of Commerce and veteran recruiting partner RecruitMilitary are proud to present this Hiring Our Heroes event to all military job seekers and their spouses. This exclusive hiring fair is free for servicemembers, veterans, and spouses and will be held in Foxborough, MA. This is an excellent opportunity for top employers from across the country to connect with high caliber candidates. If you haven’t done so already, please take a few minutes and visit our Facebook page and “Like” us. We update Facebook regularly with information about issues important and of interest to our veterans and activie duty military and their families. Soon we'll be adding more localized information as we "grow" our Post! Let us know what else you'd like to see.